Does your law enforcement agency need to issue an Amber Alert in the Greater Houston Region? Please contact (713) 409-2720 or call (713) 599-0235 for 24/7 support and activation assistance. Is your child missing? Please contact 9-1-1 immediately and then Get Help Now. We have gathered helpful resources and documents for law enforcement all in one place. If you would like to see what services Texas Center for the Missing offers to law enforcement, please visit our For Law Enforcement portal. Crime Stoppers of Houston is Houston’s leading public safety non-profit organization dedicated to keeping you safe where you live, learn work and play. Through its famed anonymous tip line 713-222-TIPS, Crime Stoppers of Houston can assist in the solving of crimes, arresting of felons, and providing of cash rewards. Search the FBI Wanted List to find and help reunite missing persons of all ages with their loved ones. Rewards are offered in some cases. Use the provided Search Center to find specific cases. 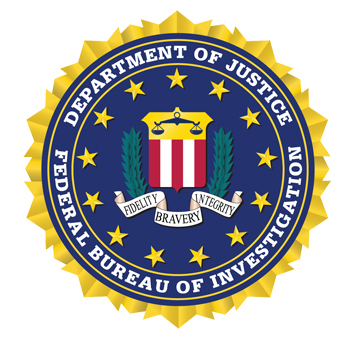 Launched in 1998, the Internet Crimes Against Children Task Force Program (ICAC Program), started with only 10 Task Forces across the United States, but today it is a national network of 61 coordinated Task Forces representing more than 3,000 federal, state, and local law enforcement and prosecutorial agencies. These agencies are engaged in reactive, proactive, and forensic investigations, and criminal prosecutions. The Houston Metro ICAC is coordinated by the Houston Police Department. The DPS Missing and Unidentified Persons Online Bulletin is supported by the Texas DPS Missing Persons Clearinghouse and the Unidentified Persons and DNA unit. This site features individual searchable bulletins regarding missing persons, abductors, runaways, traveling companions, and unidentified persons discovered in Texas. Each bulletin includes photographs (if available), descriptors, and other information regarding the circumstances of the person’s disappearance or discovery. This resource was created by the Office for Victims of Crime (OVC) to help victims, victim service providers, allied professionals, and other interested individuals plan, promote, and locate events of interest to the victim service community in their area. Established in 1984, the National Center for Missing and Exploited Children® is the leading nonprofit organization in the U.S. working with law enforcement, families, and the professionals who serve them on issues related to missing and sexually exploited children. The National Center for Missing & Exploited Children provides valuable resources and technical assistance to law enforcement as they work to find missing children and combat child sexual exploitation. The National Missing and Unidentified Persons System (NamUs) is a national centralized repository and resource center for missing persons and unidentified decedent records. NamUs is a free online system that can be searched by medical examiners, coroners, law enforcement officials and the general public from all over the country in hopes of resolving these cases. The Statewide AMBER, Blue, Silver & Endangered Missing Persons Alert Programs are housed within the Operations Section of the Texas Division of Emergency Management. Law Enforcement can research and request the different alert programs from this webpage. All law enforcement officers within the 14 counties surrounding the Houston-Galveston Area may request the below resources. Every effort will be made to provide assistance and resources for law enforcement officers and agencies outside of our primary service area.